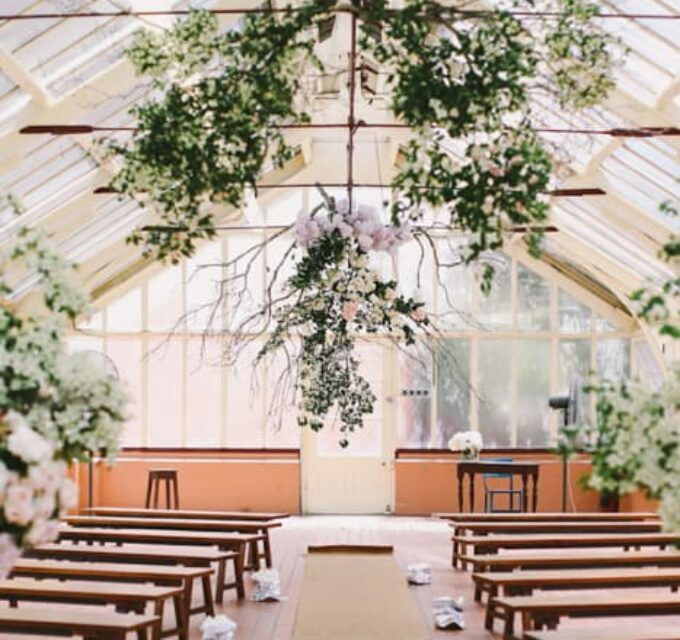 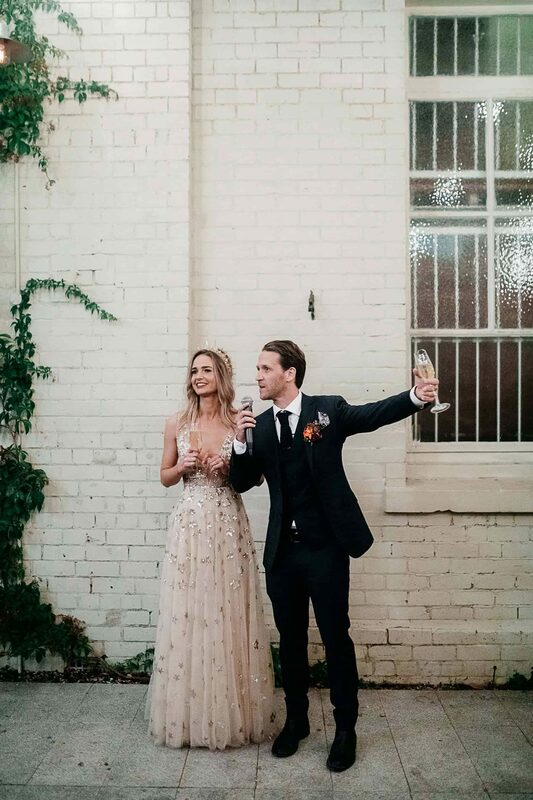 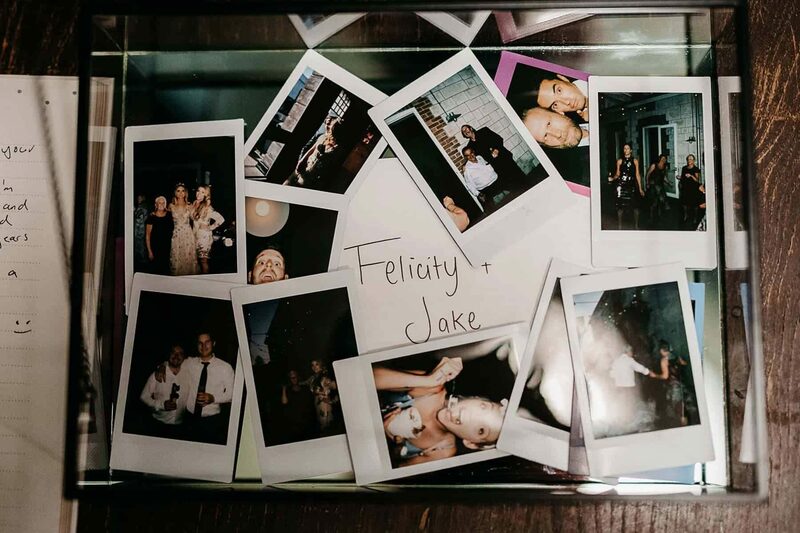 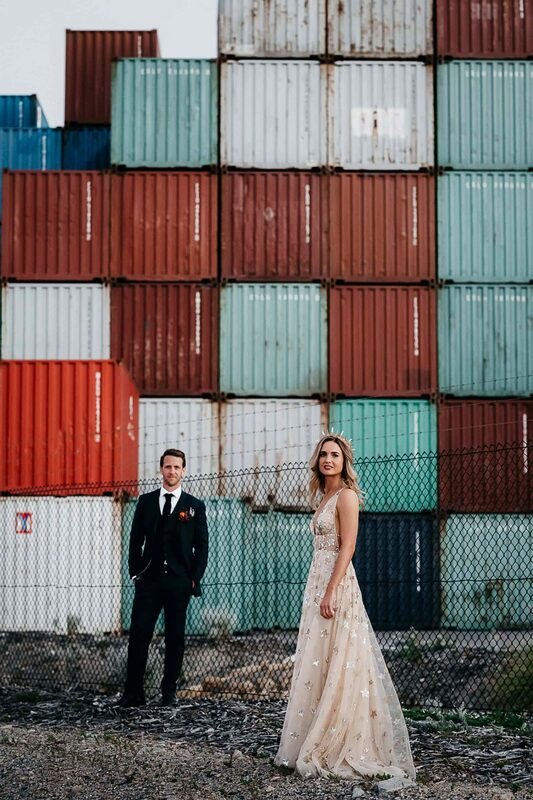 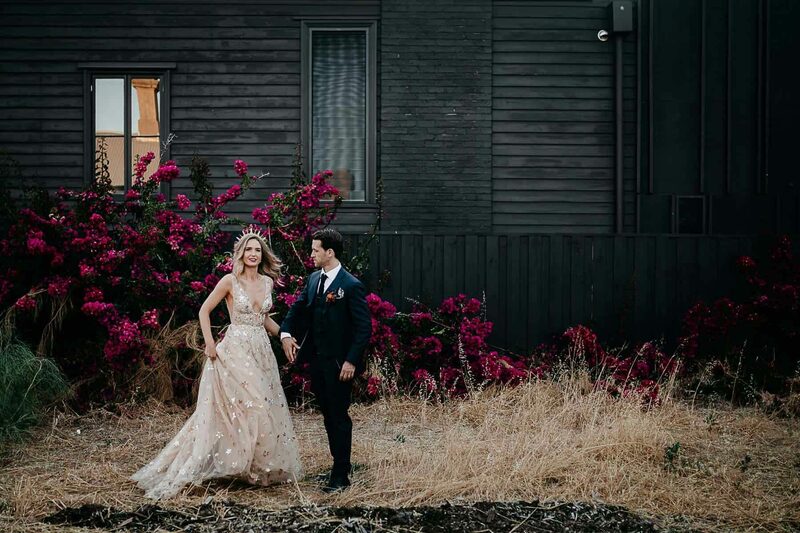 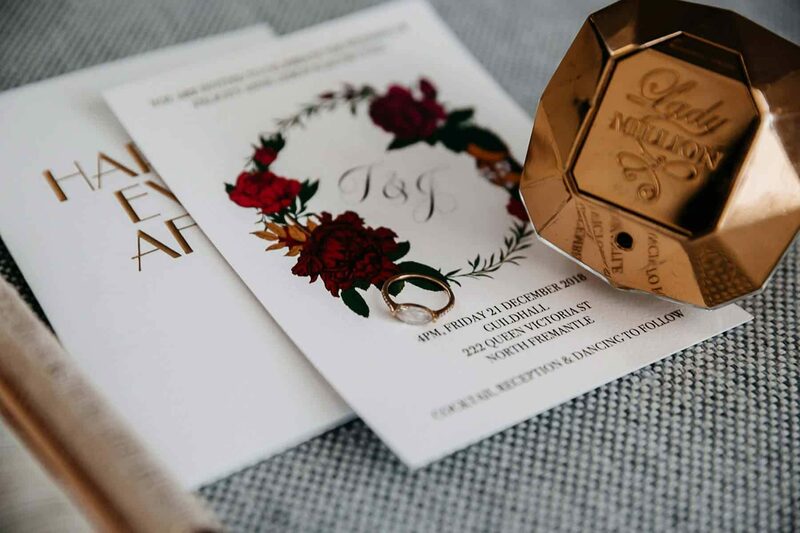 Above all else, Felicity and Jake wanted their wedding to simply reflect the two of them as a couple. 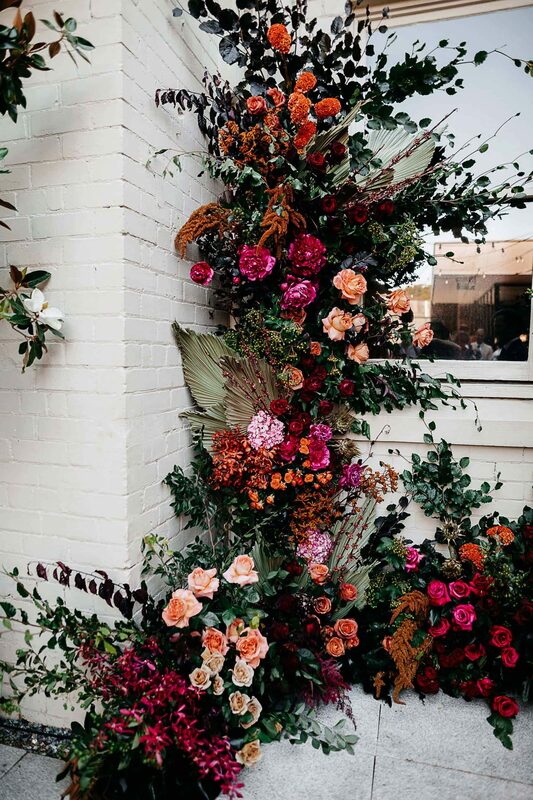 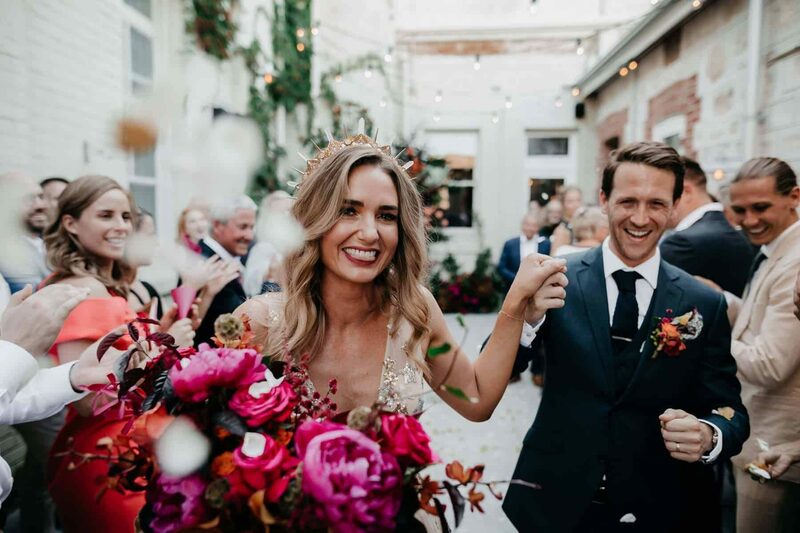 That meant it had to be ‘laid back, fun, totally loved-up, but still a bit elegant!’ Statement blooms by Signature Floral Design brought the wow factor to Fremantle’s Guildhall, and the couple reckon they hit the jackpot by choosing Adam Levi Browne to photograph their unique and carefree day. 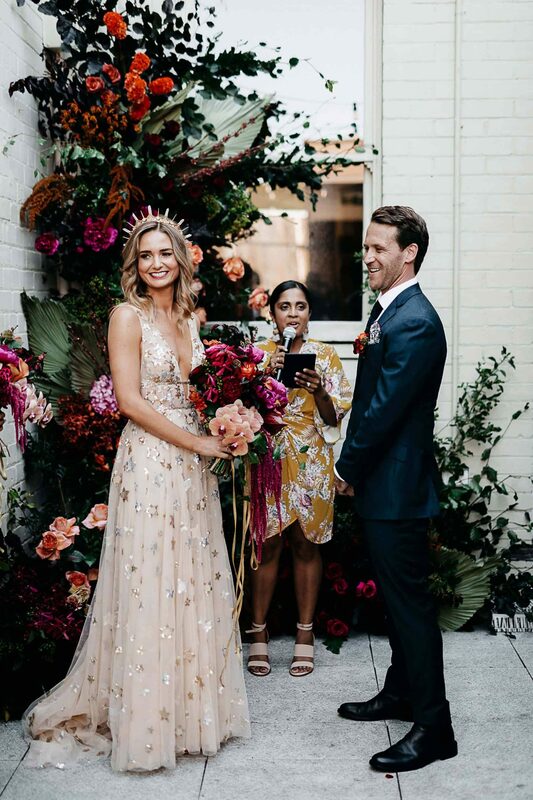 And on the subject of unique, can we talk about Flic’s dress? 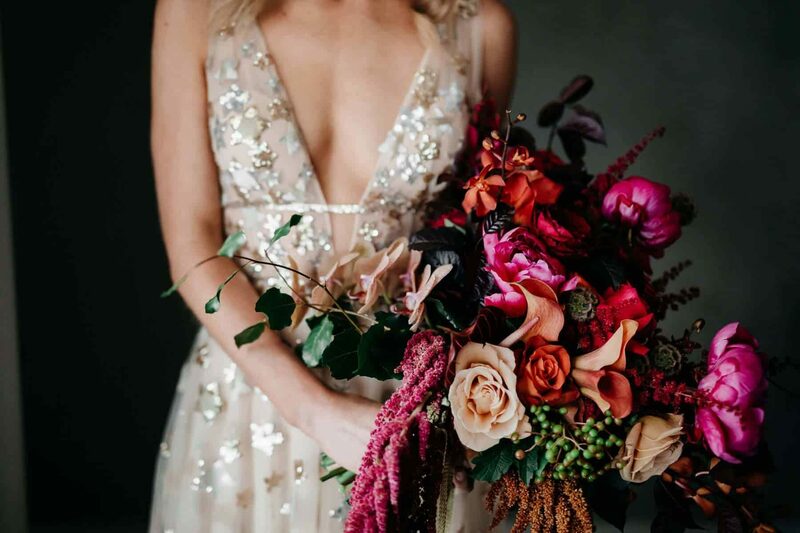 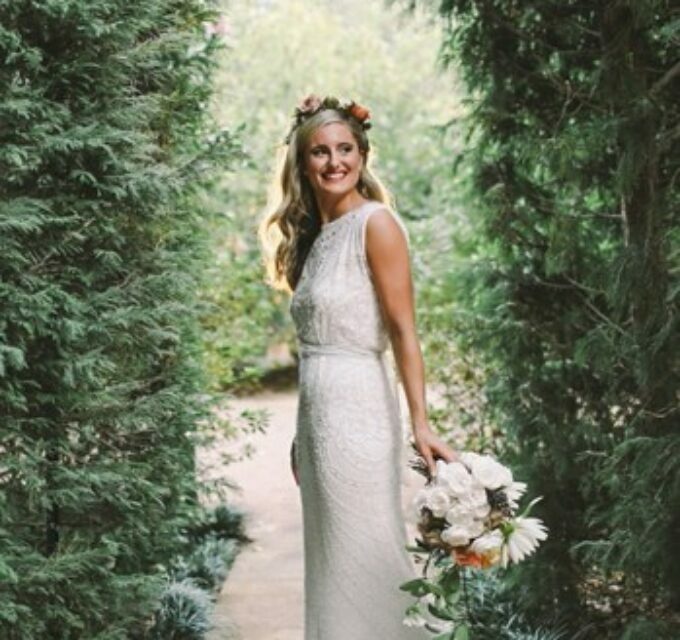 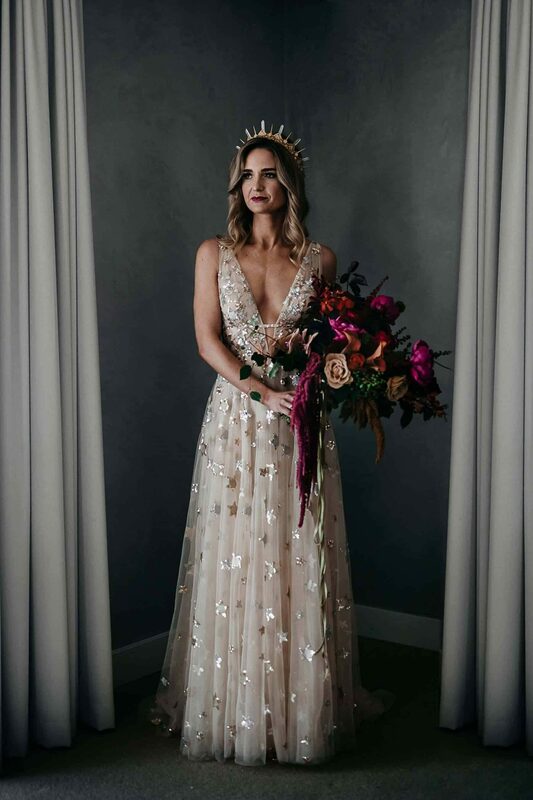 The celestial gold Orion dress by Willowby by Watters completely took our breath away! 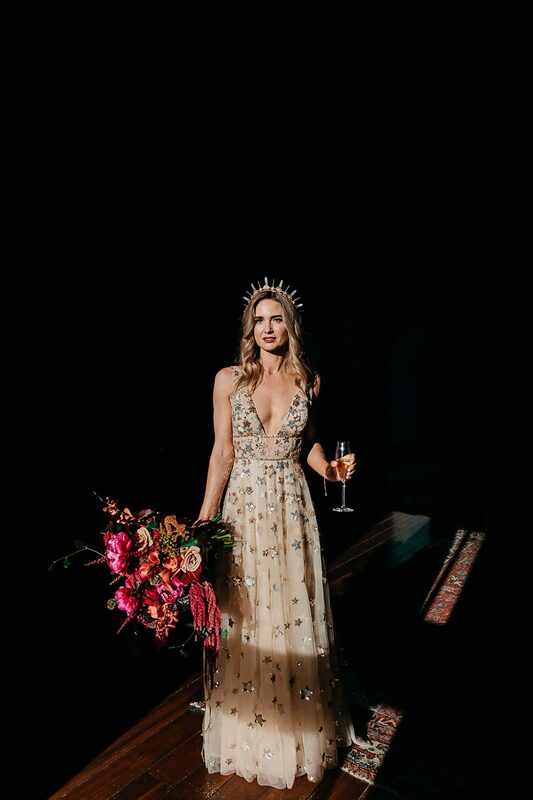 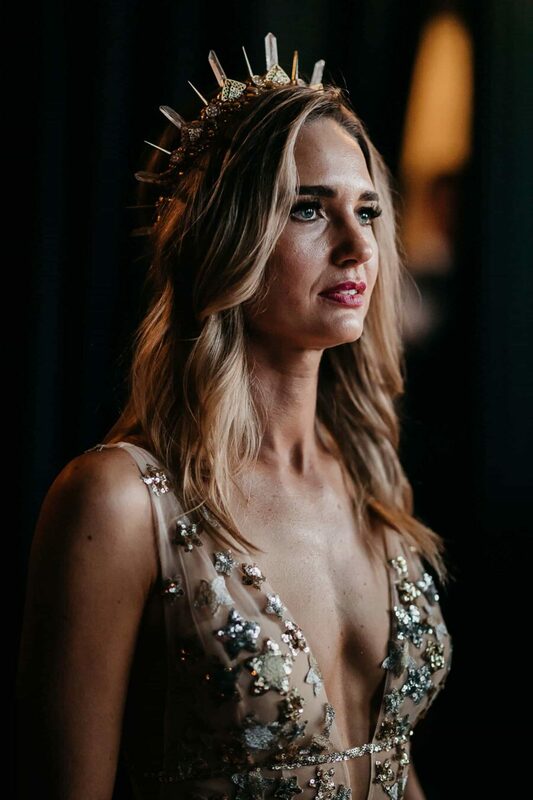 Paired with a gold crown by Amaroq and flawless hair and makeup by The Pretty Parlour, she was nothing short of a modern goddess. 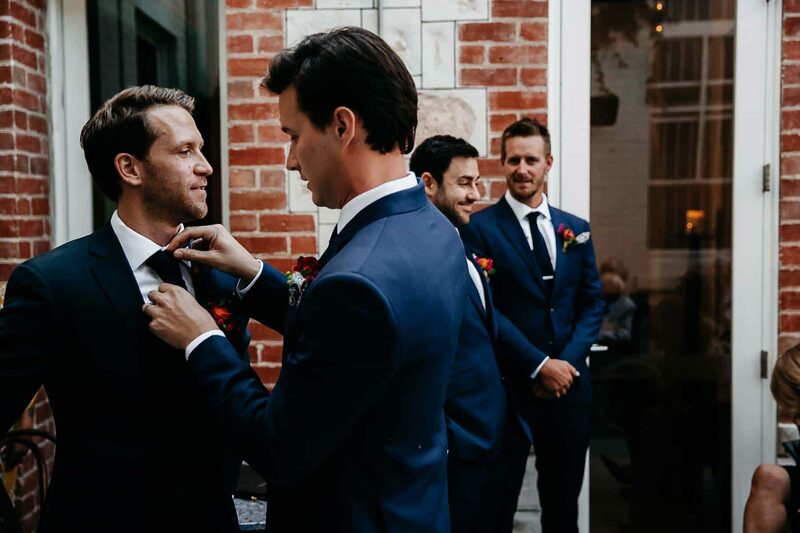 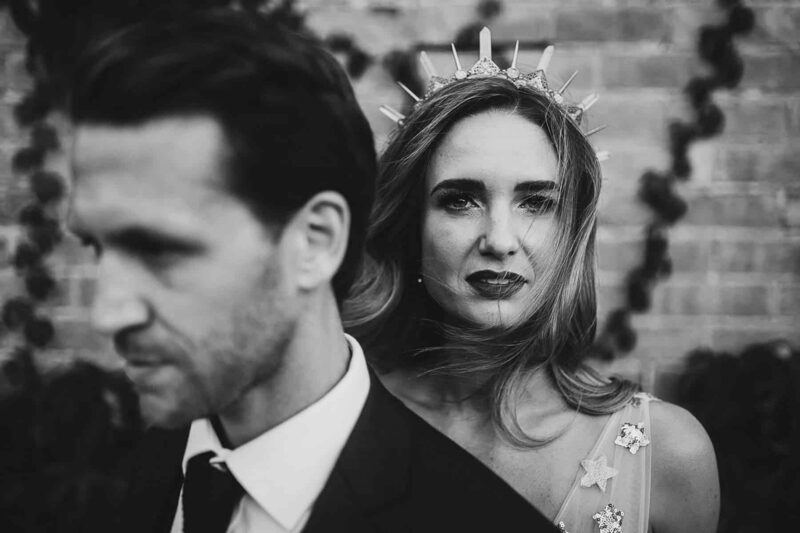 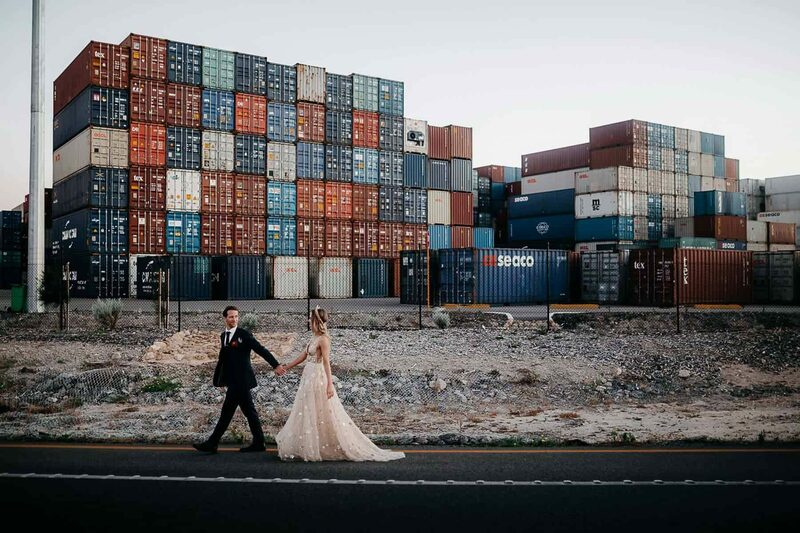 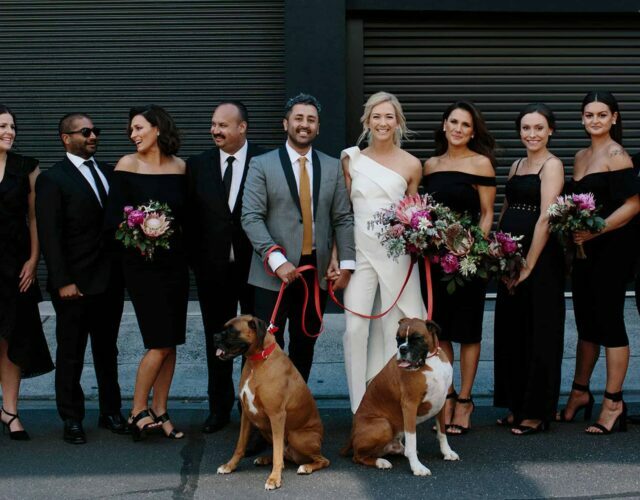 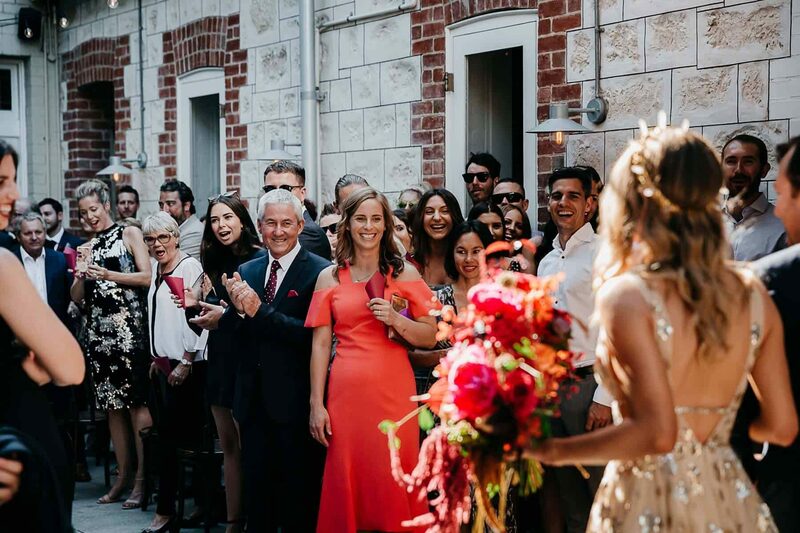 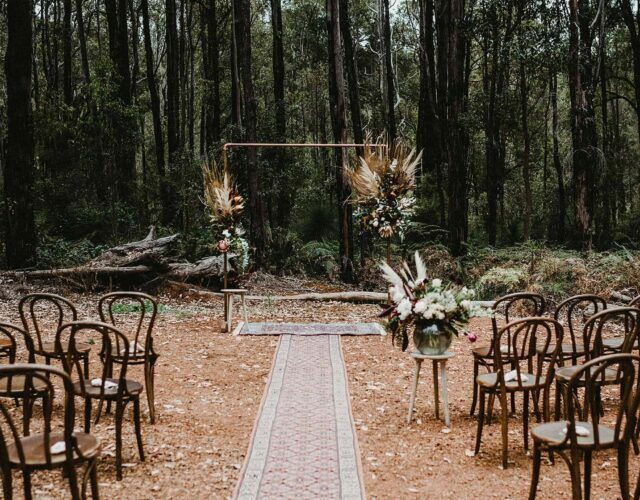 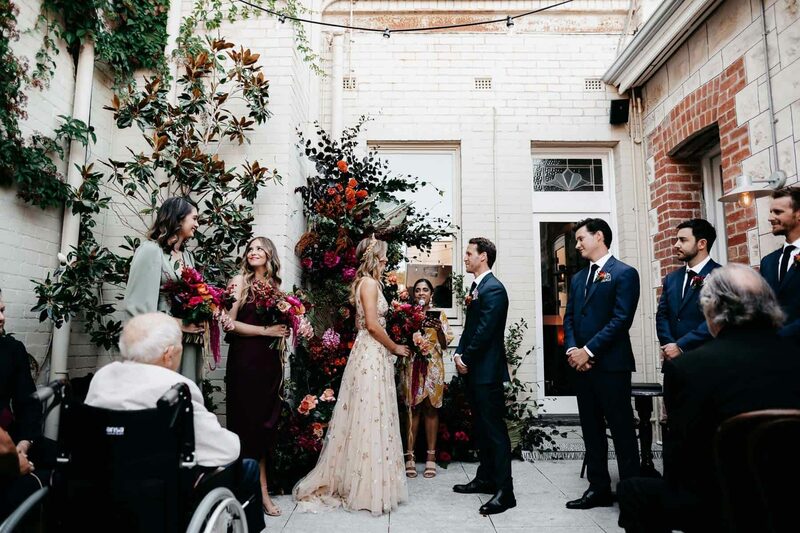 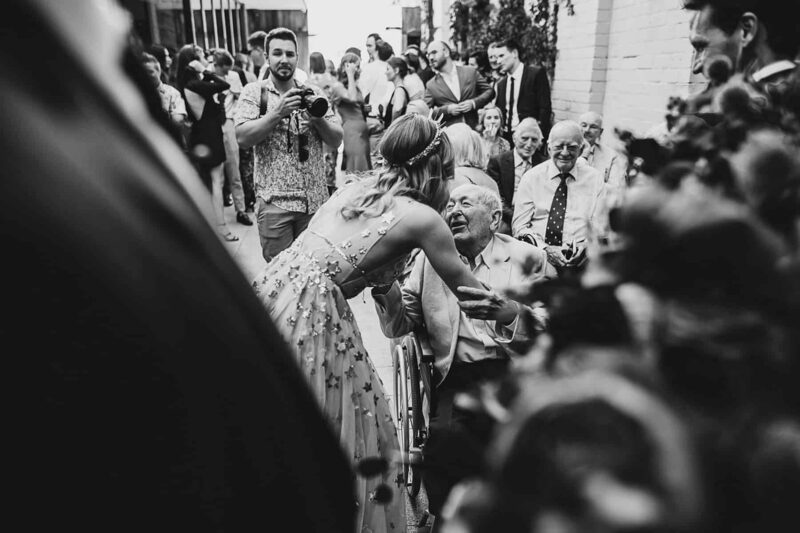 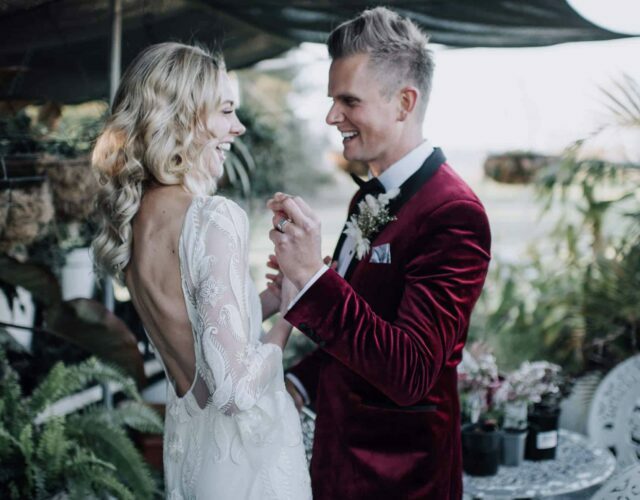 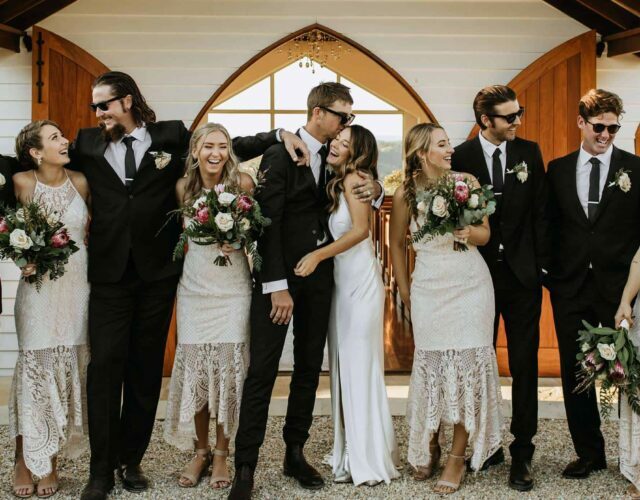 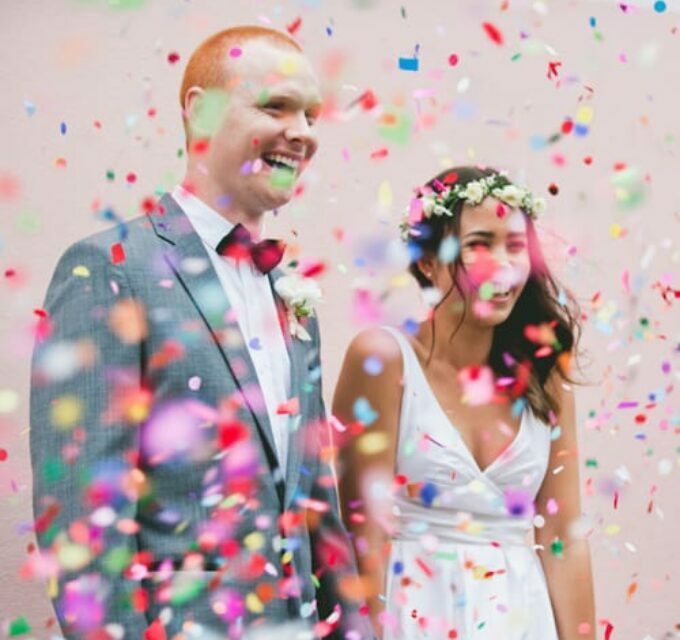 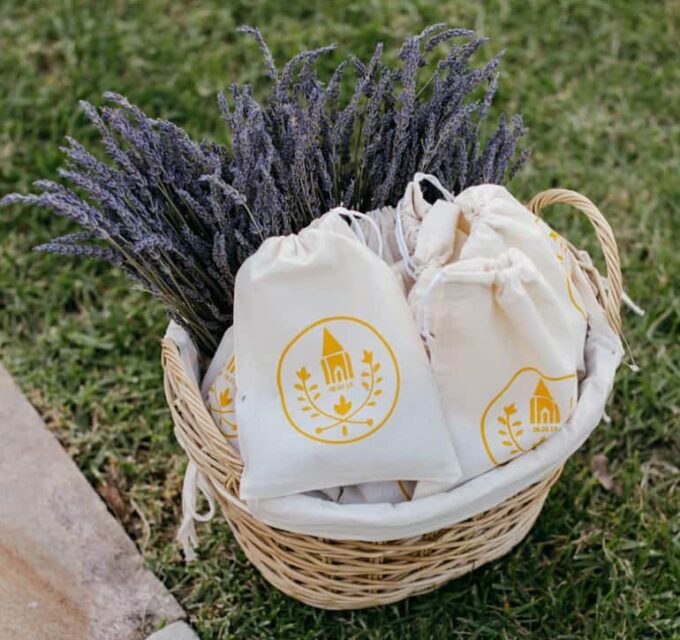 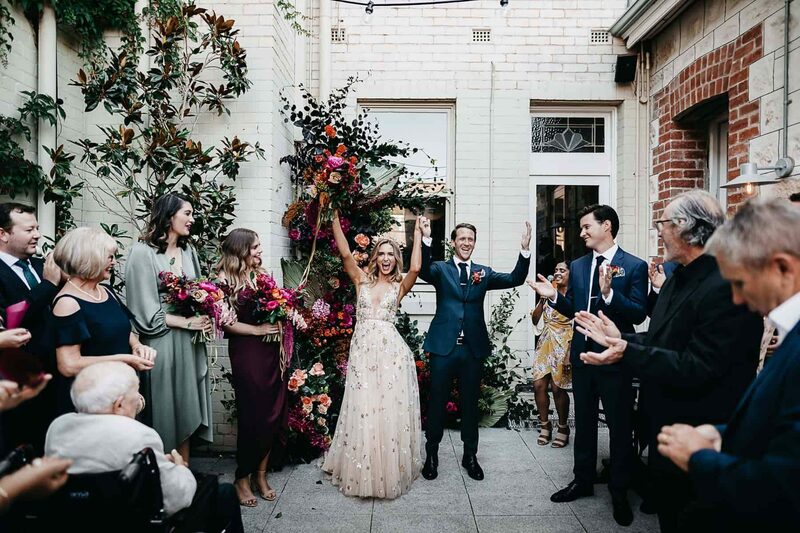 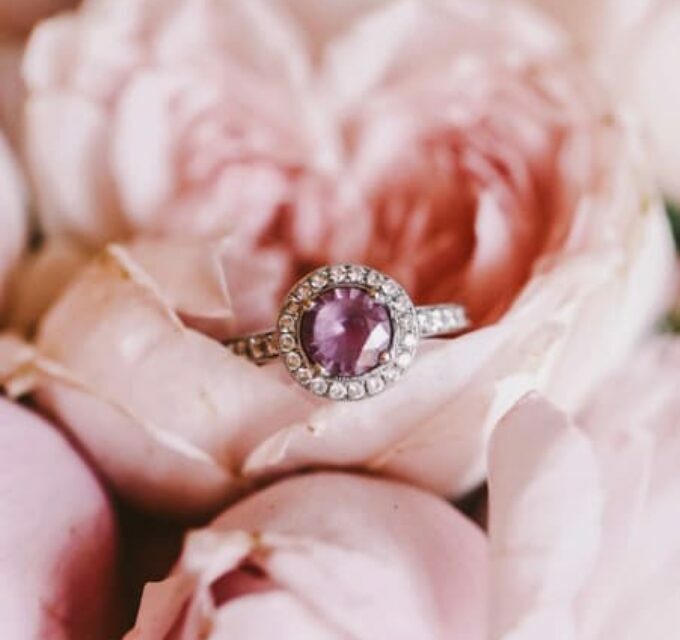 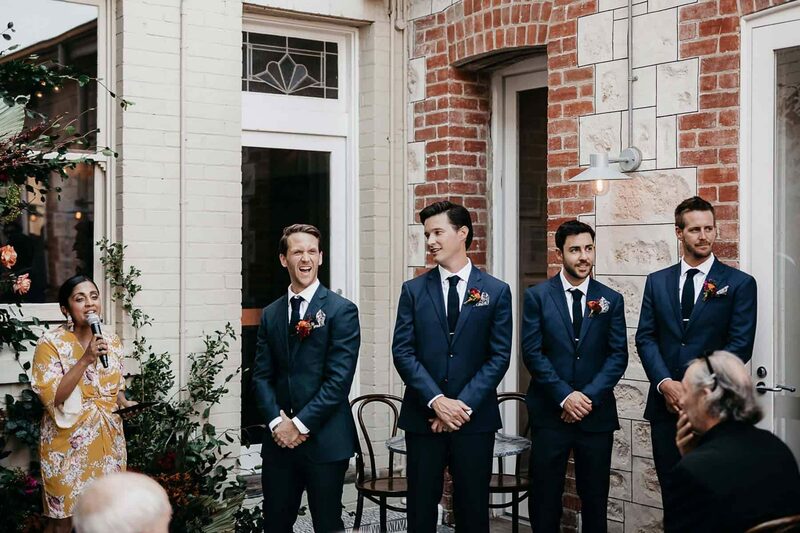 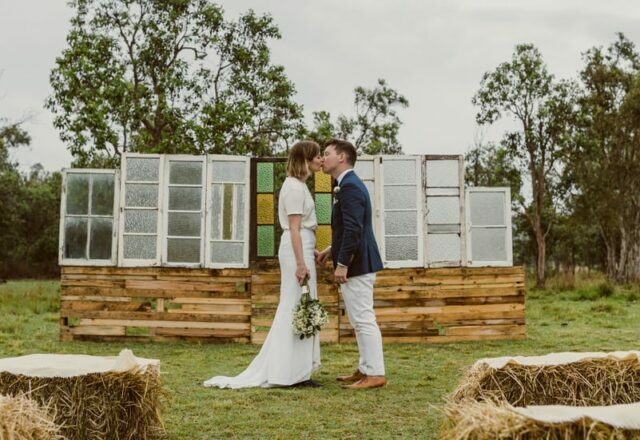 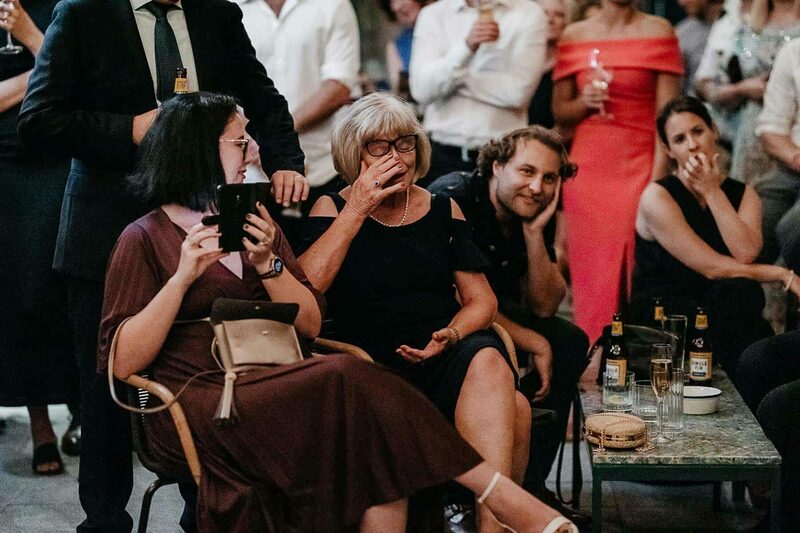 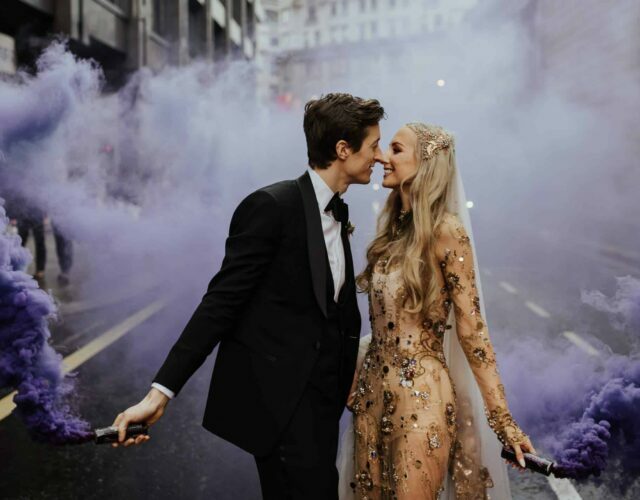 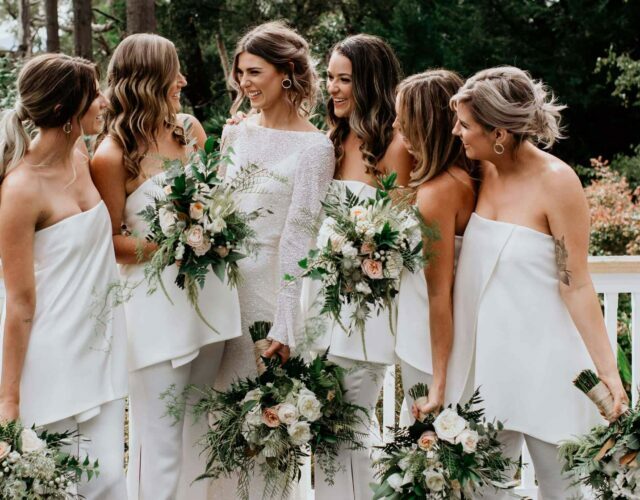 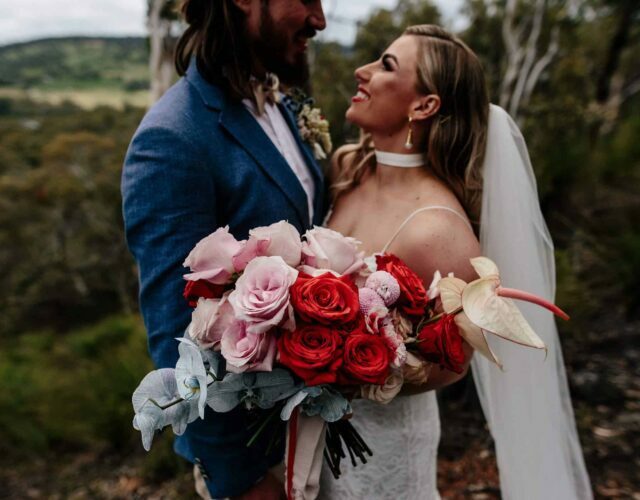 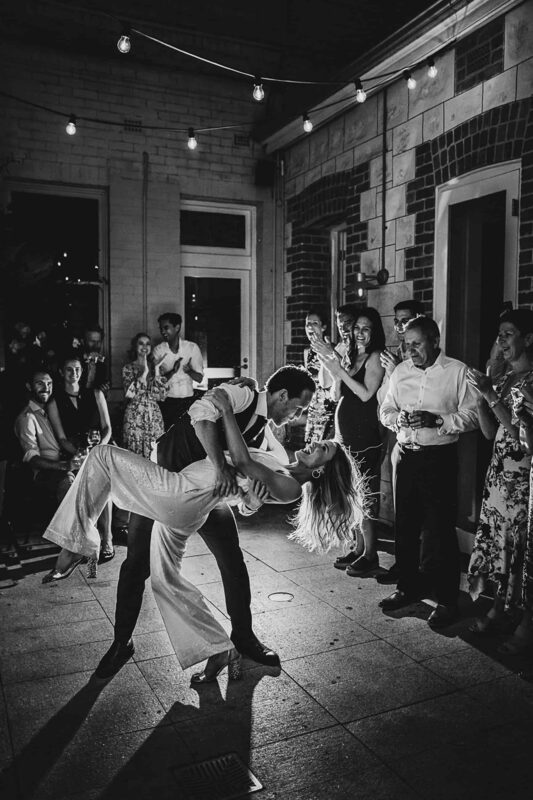 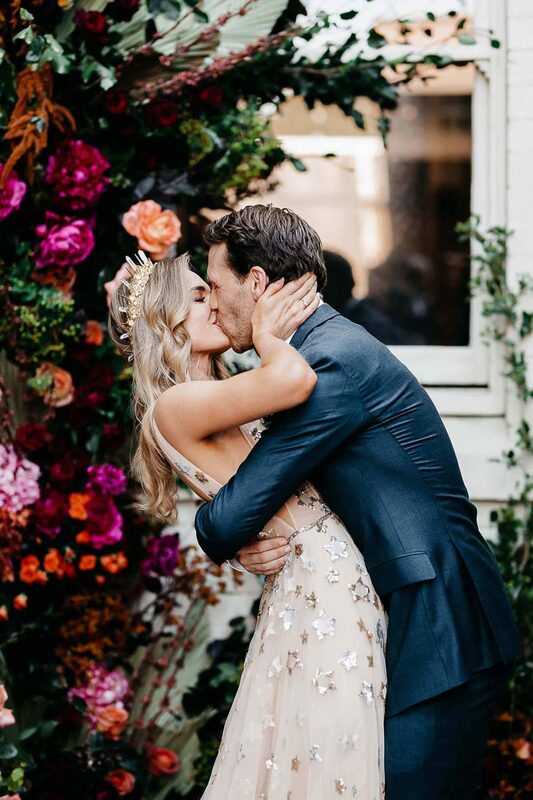 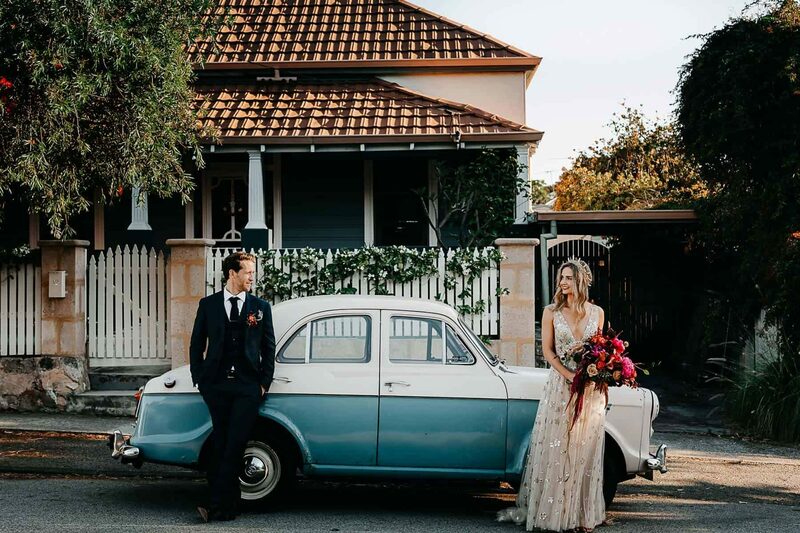 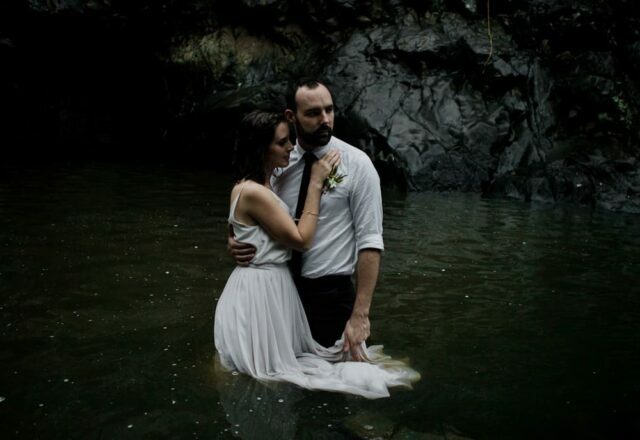 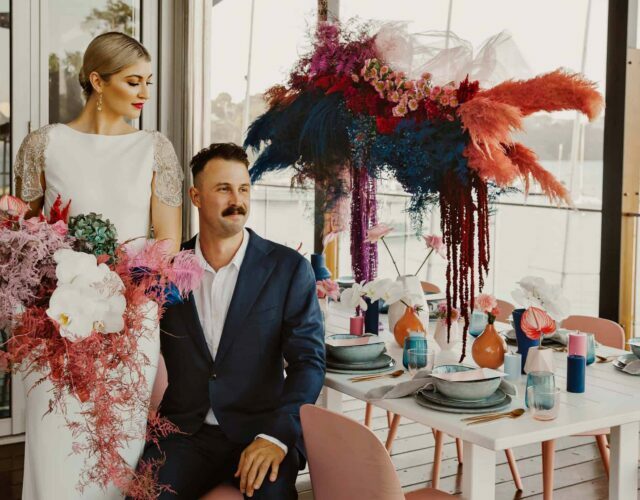 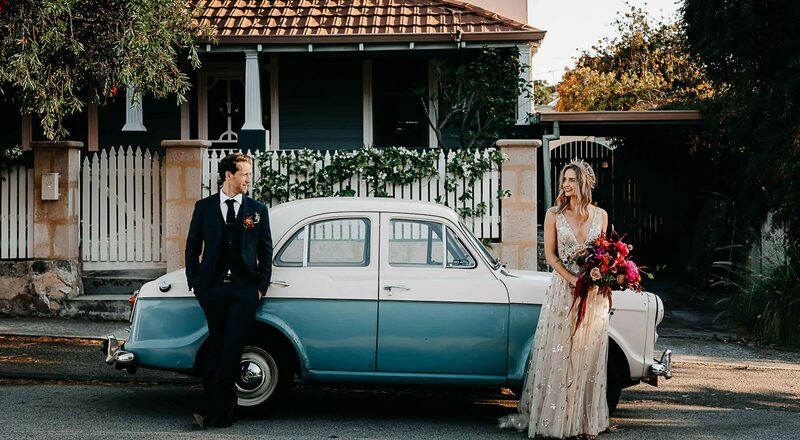 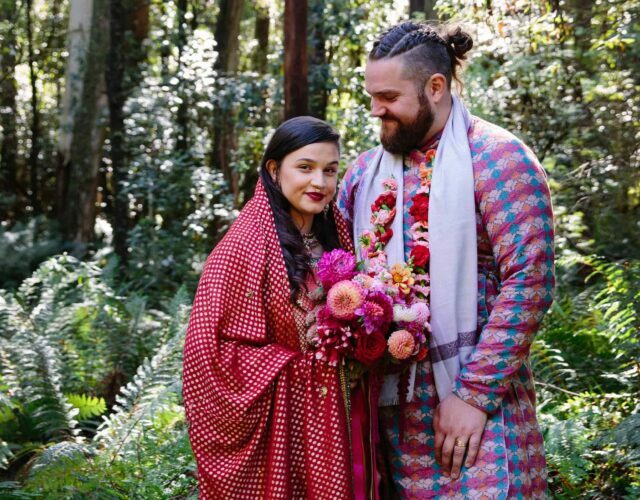 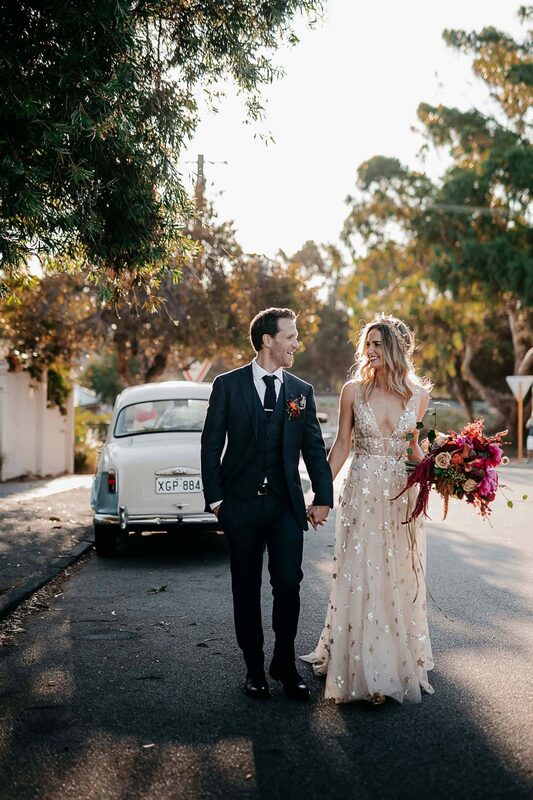 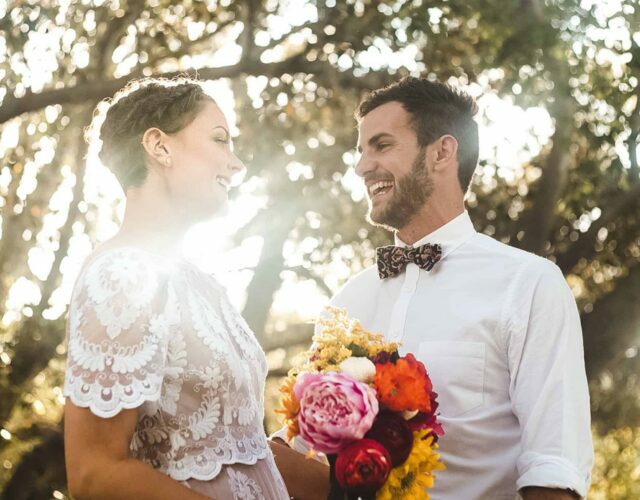 Flic and Jake tell us their charismatic celebrant – Dillhari from Kiss Me You Fool – struck just the right cord for their ceremony, with all the feels and plenty of laughter. 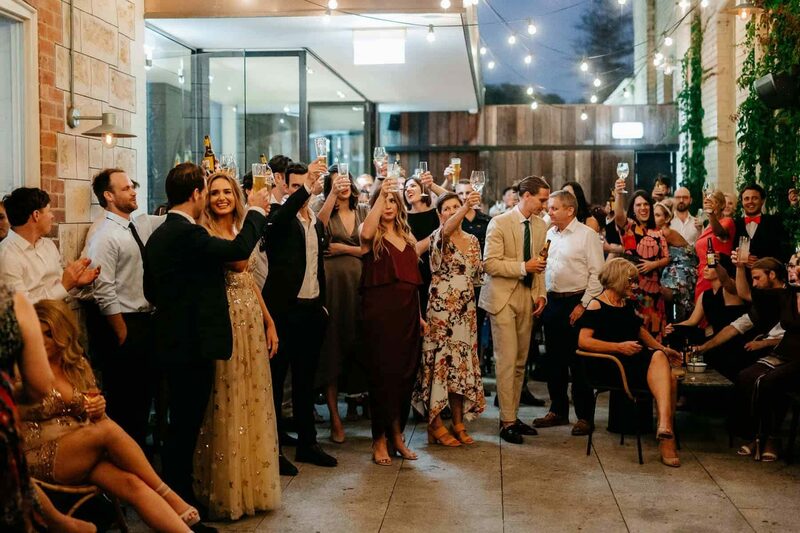 Post-ceremony cocktails and grazing was followed by an Afghan barbecue for dinner, a dessert station and late night pizzas. 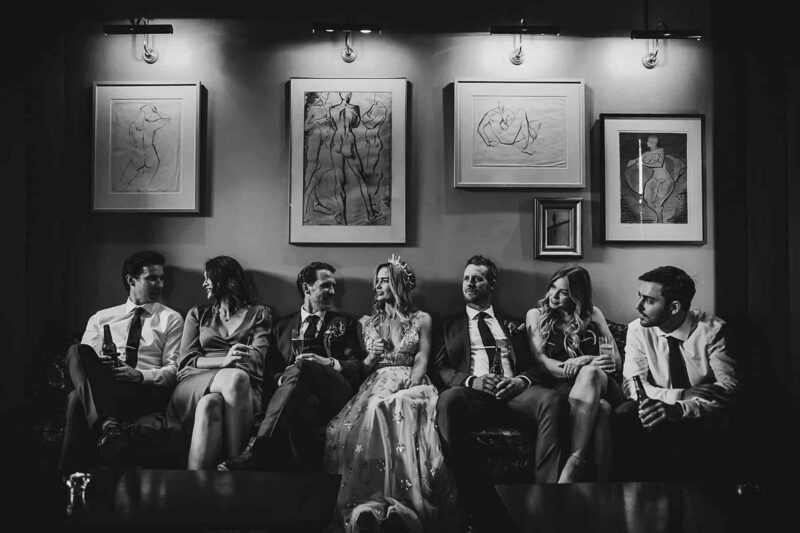 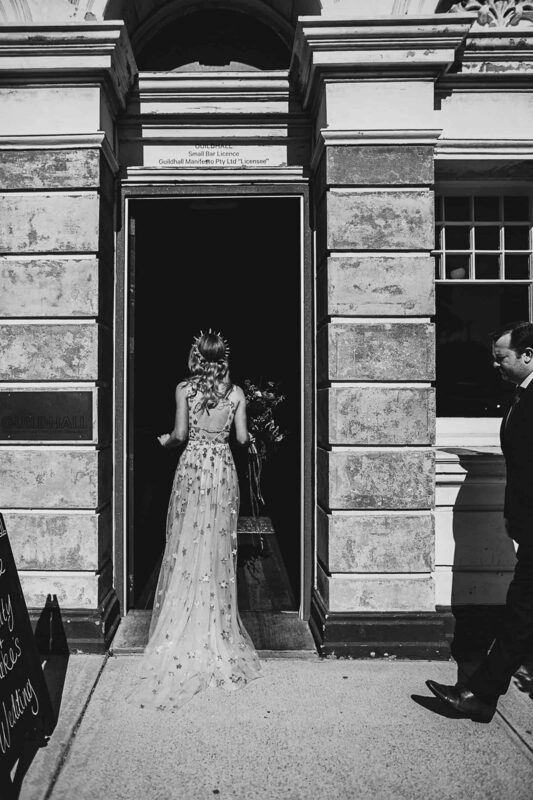 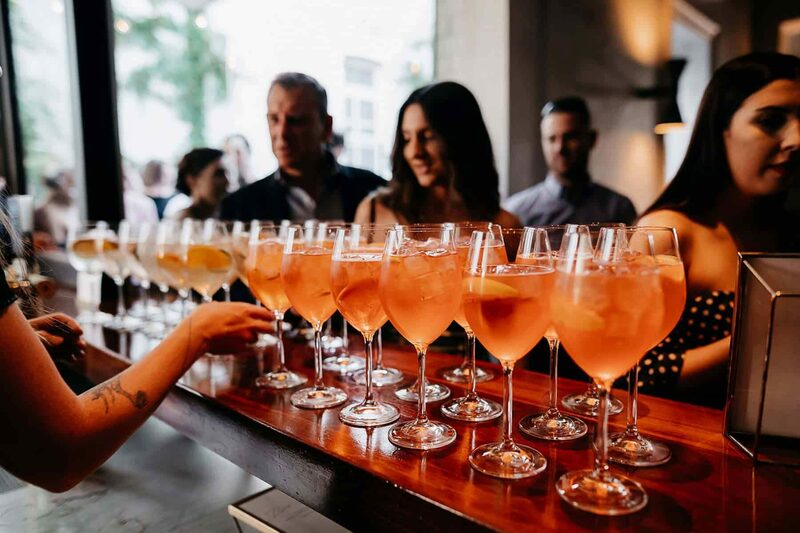 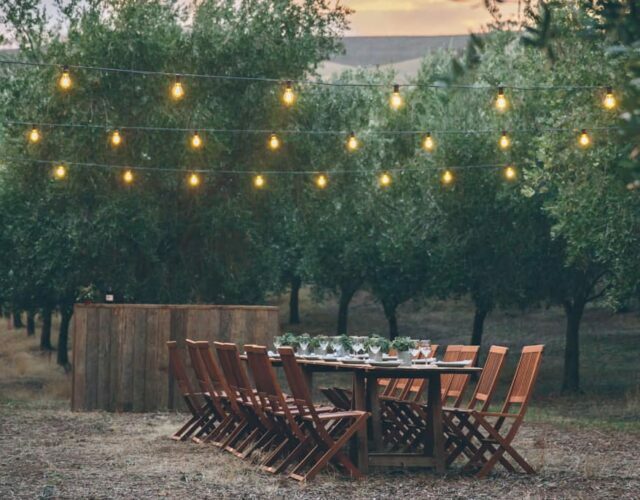 “We wanted to make sure that whilst it was a cocktail event, our guests were very well fed!” Flic explains. 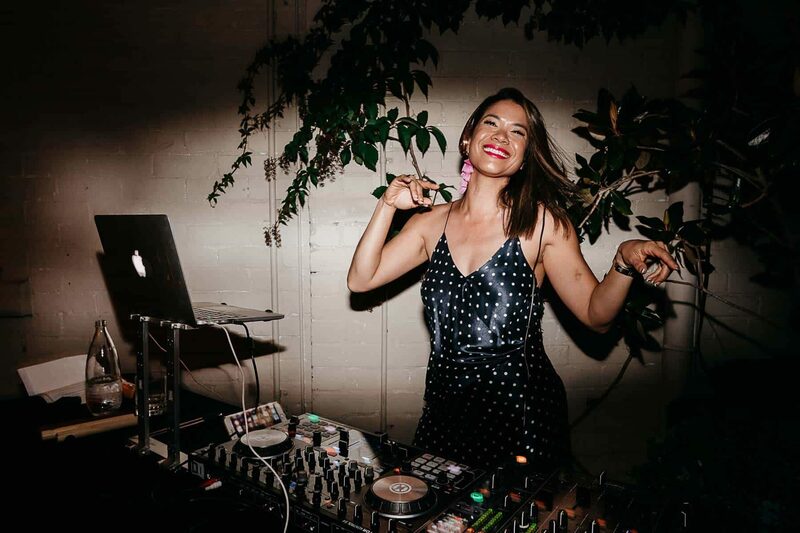 Setting the tone for the night’s dance floor shenanigans, Flic donned a sequinned jumpsuit for a choreographed first dance to Shake Your Groove Thing. 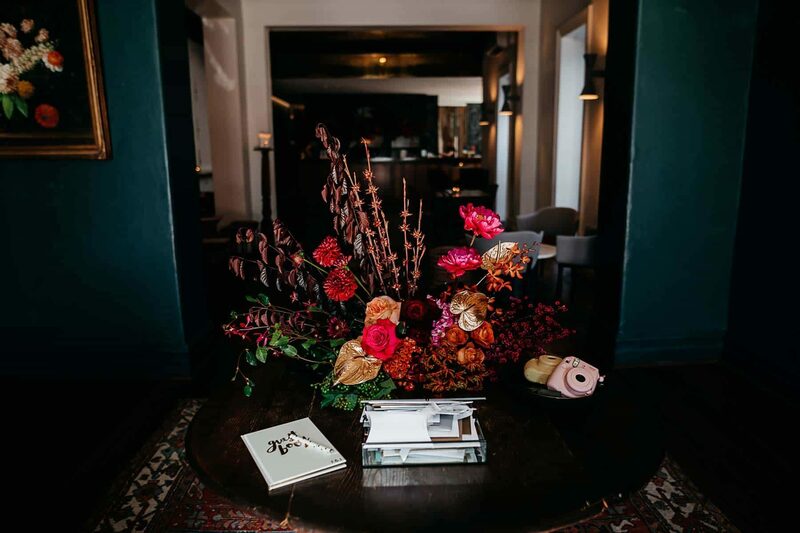 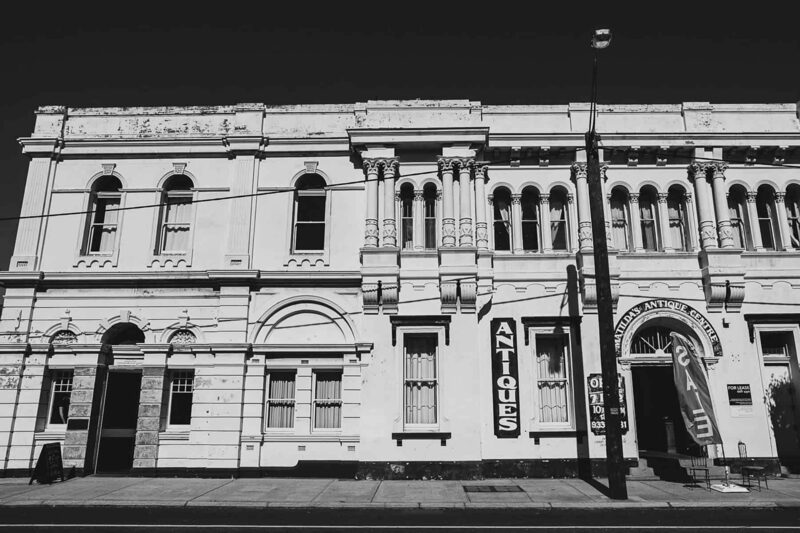 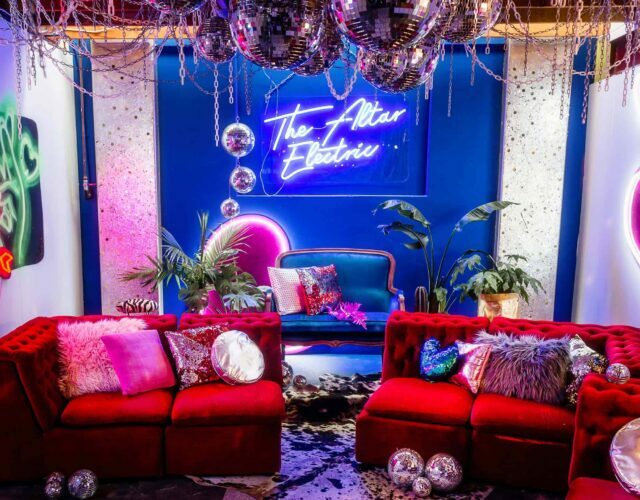 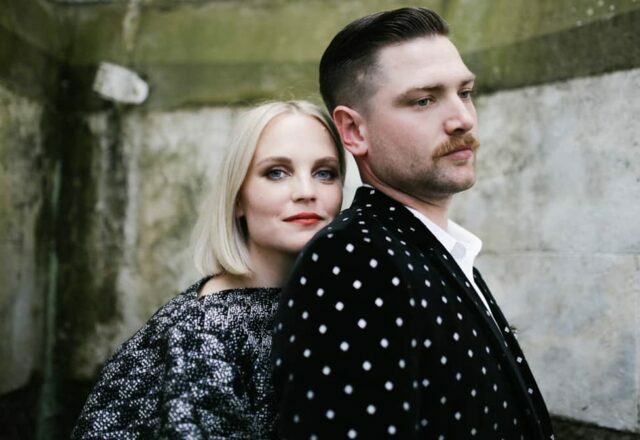 The couple didn’t bother with favours or a wedding cake, but tell us their guests left with amazing memories, sore heads and sore feet after House of F.A.D.J brought the house down. 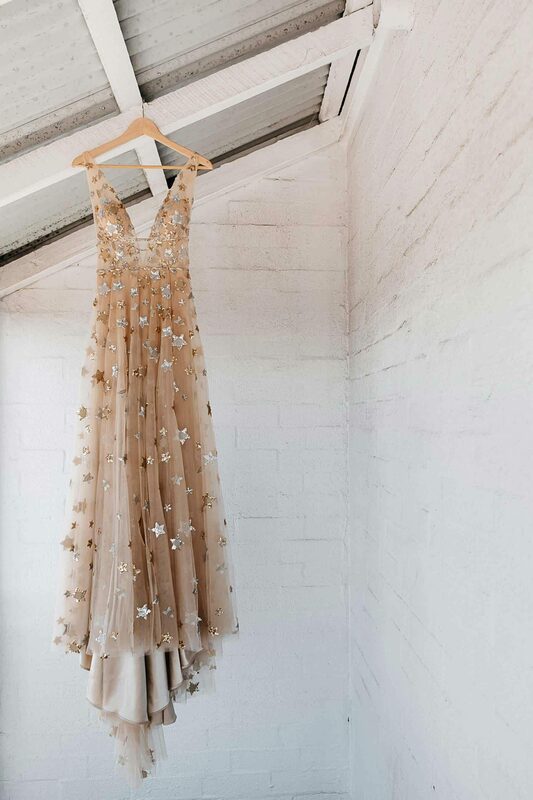 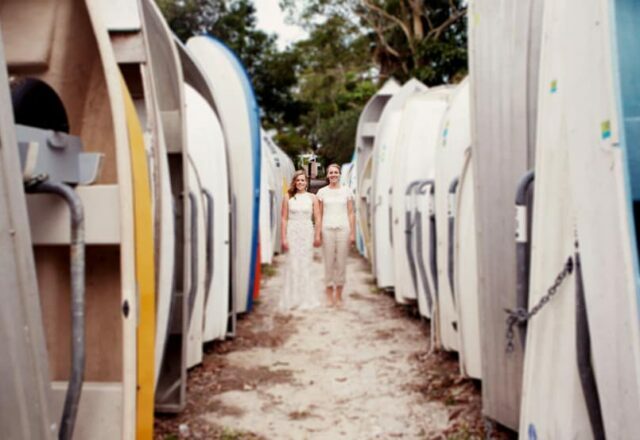 Flic's bridesmaids chose their own dresses, both opting for different designs by Shona Joy. 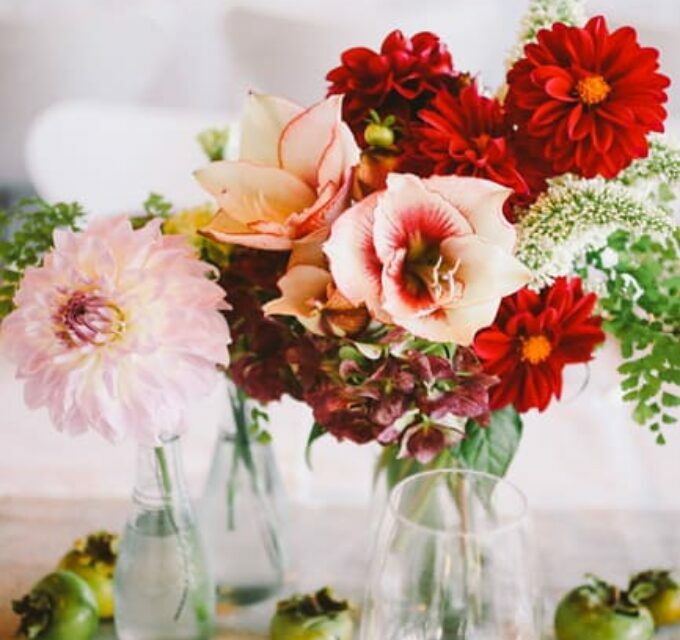 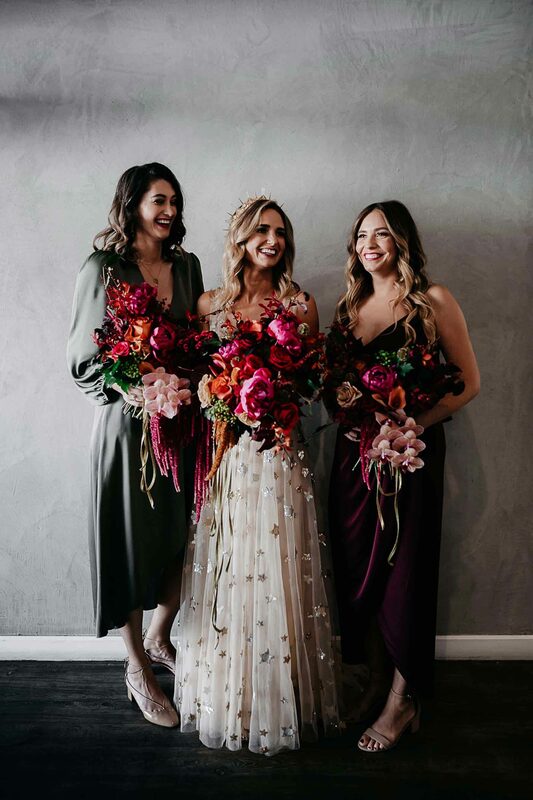 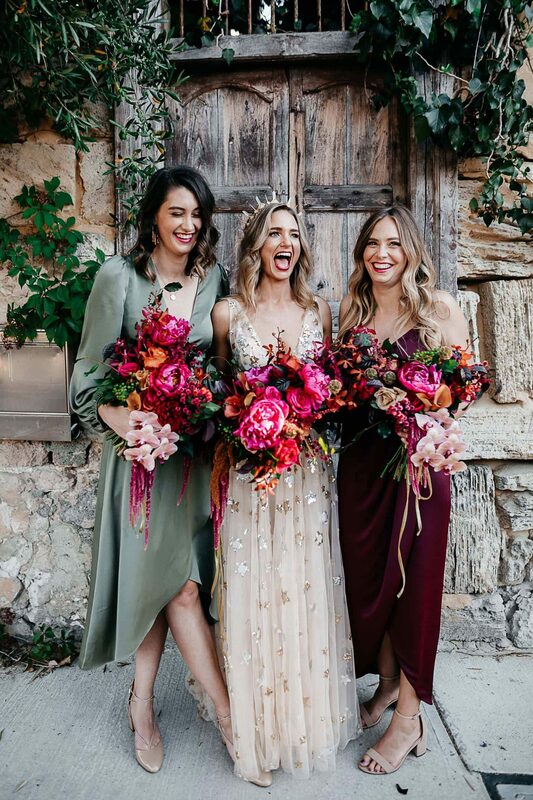 Paired with those incredible bouquets by Signature Floral Design, the trio looked divine indeed!